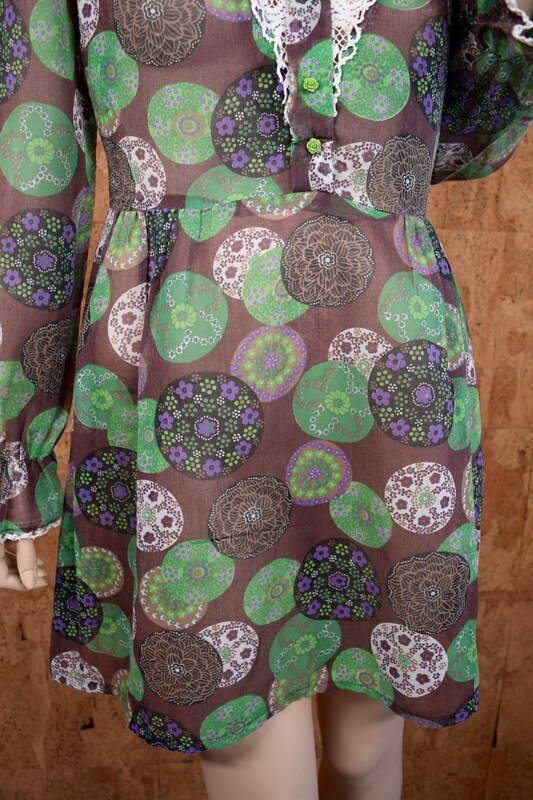 This is a great designer from the swinging 60's / early 70's that made the best clothes for women in England. 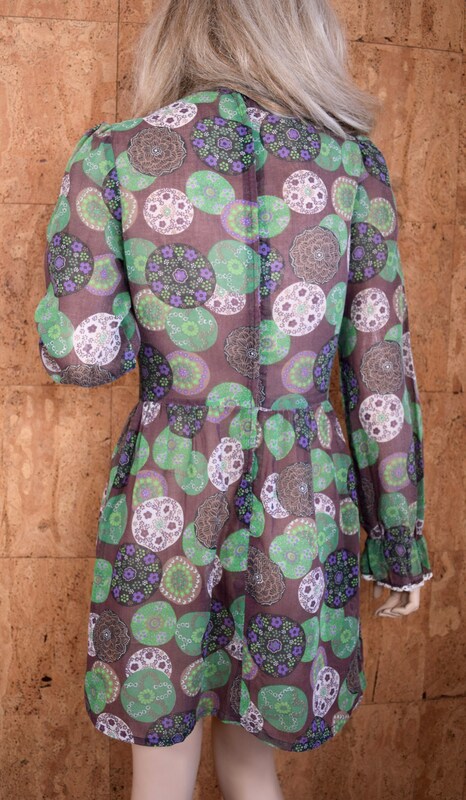 Straight off Carnaby street, this is the style of dress you should wear with your vintage laced granny boots. Green resin rose shaped buttons. Unlined and sheer so you need to wear a slip underneath. The fabric is very light and airy. Condition: Overall good vintage condition with some signs of age and wear. The lace was stained and the brown spots all came out with intensive spot treatments. 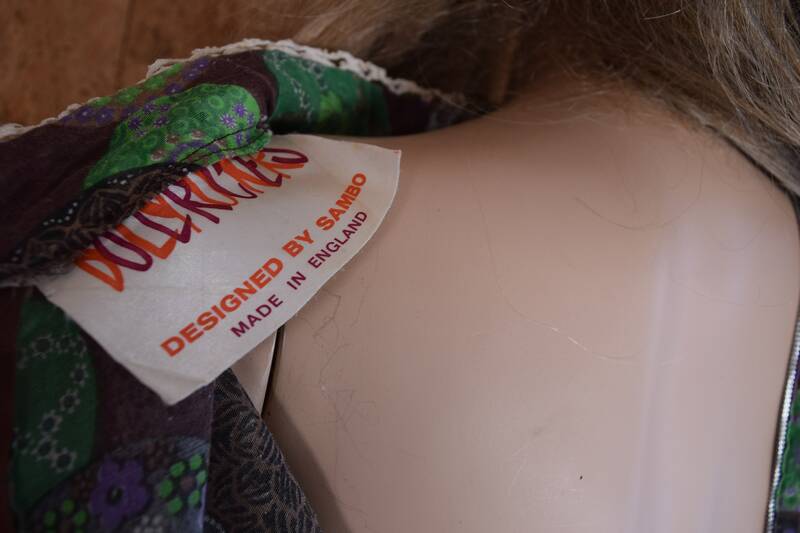 The elastic in the cuffs is shot out and when I took it to be replaced the seamstress was afraid of damaging the gentle fabric with removal so we left it alone. 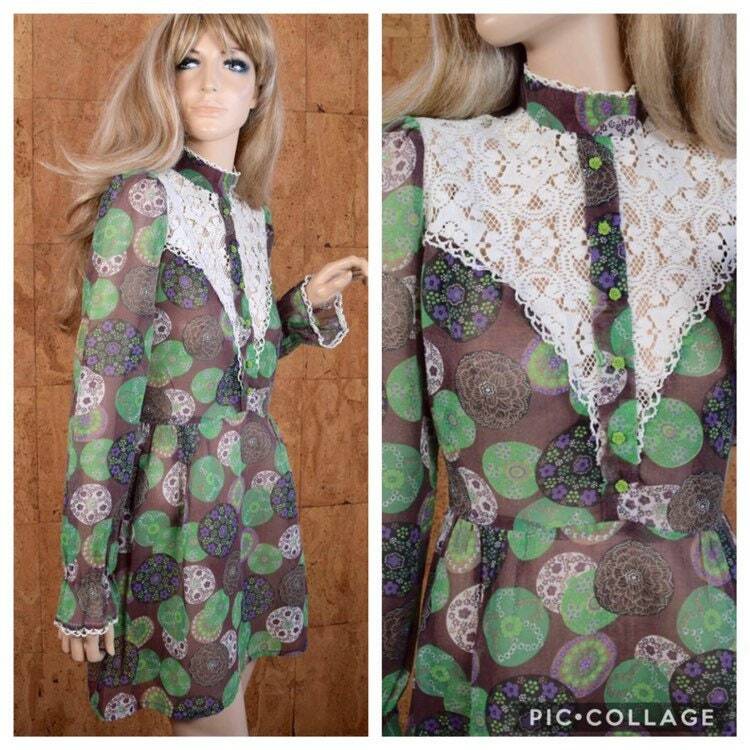 This is a very old dress! Fabric: Cotton & poly blend, cotton lace. Measurements: no stretch and requires you to wear a slip underneath. Should be worn loosely.